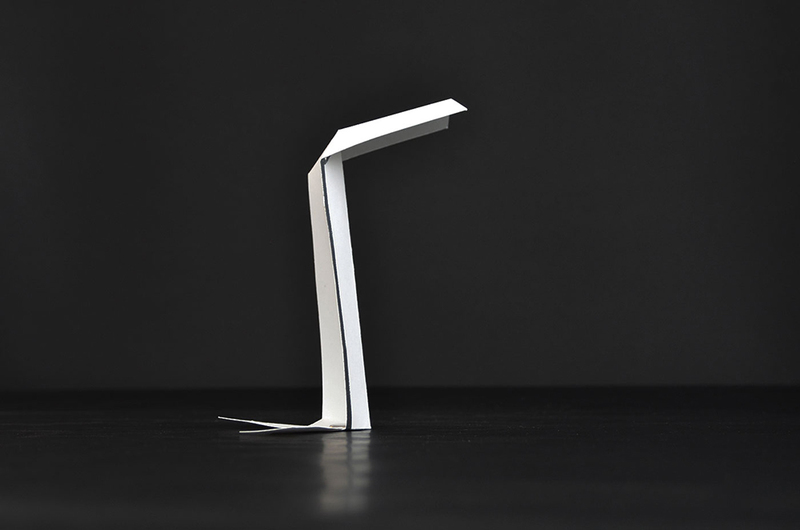 RISE is the concept of a affordable, small, and foldable paper-lamp. 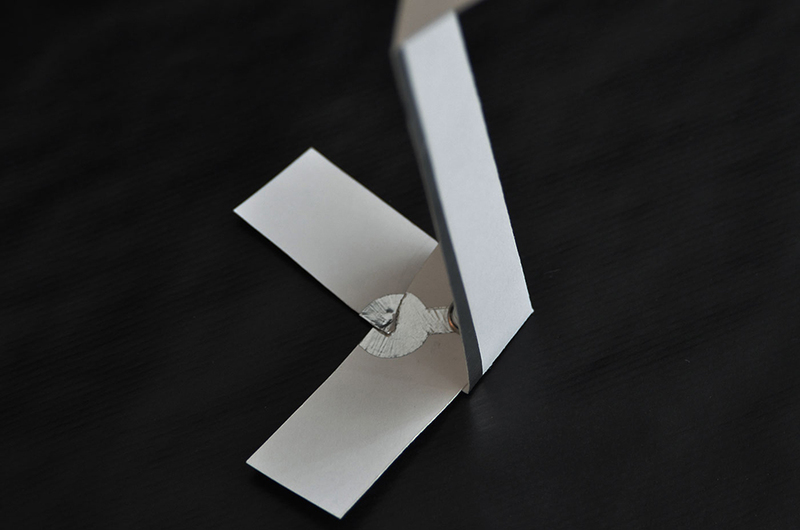 It combines the aesthetics of paper with polytronic (printable thin electronics), and LED technology. 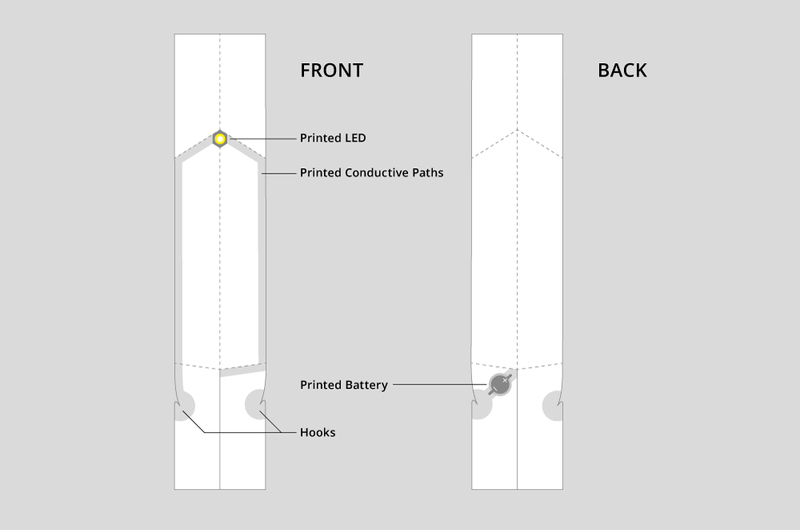 All functional parts like battery, conductive lines, and LED are printed on a slim stripe of paper. 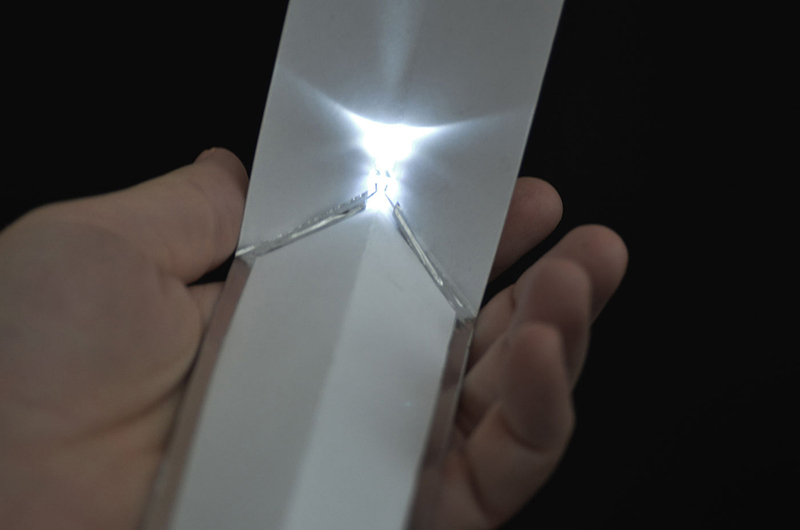 The simple interaction of clasping two parts of paper creates a sculptural volume and switches the LED on. The design of its shape emerged from the fascination of easily creating volume out of a flat surface just with a small and simple gesture. Mechanical and technical function is concentrated in one hook. Assembling and disassembling as well as switching on and off can be done intuitively by clasping and hooking the legs. Industrial produced RISE Lamps could be marketet in different low-cost-segments. One example is the usage as a product for travel or camping, providing a unique combination of bookmark and reading-light.